Happy July! I thought it would be fun to show you several really easy modifications that you can do with the Lazy Days Skirt during the month of July. For those of you living in the northern hemisphere (and enjoying the warmer summer weather) maybe you already have this skirt on your sewing list. 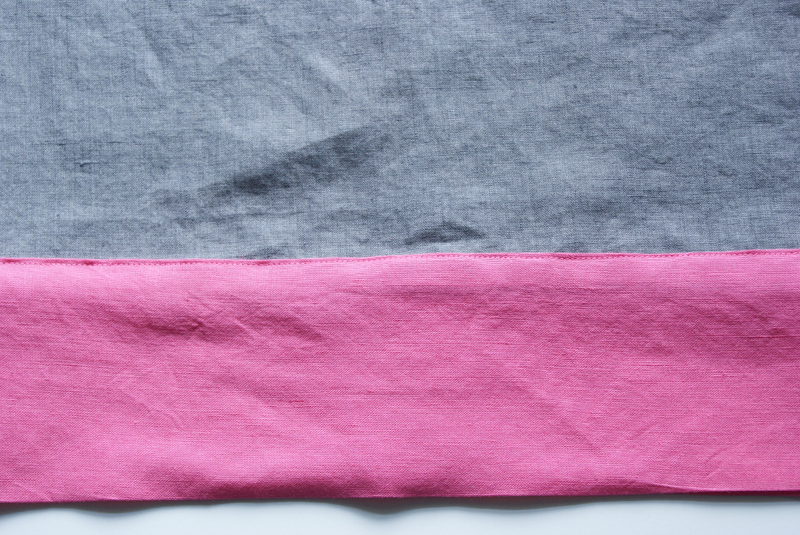 The Lazy Days Skirt is a free project that makes an ideal beginner project. If you learn best with a video format, you can sew along with Liesl with a Creativebug workshop. But this is also a fun project for the more experienced sewist, as it makes a great instant gratification project. Today I’m going to share how I took the Lazy Days Skirt and added a color blocked hem which is similar to the double-thickness hem of Ice Cream dress (view A). It’s quite simple to do. You can make one, too and here’s how. Note: Instead of the selvage to selvage (44 inches – 45 inches wide) fabric piece needed for the Lazy Days Skirt project, I used a width of 37 inches. So my skirt turned out less full, in case you were wondering. 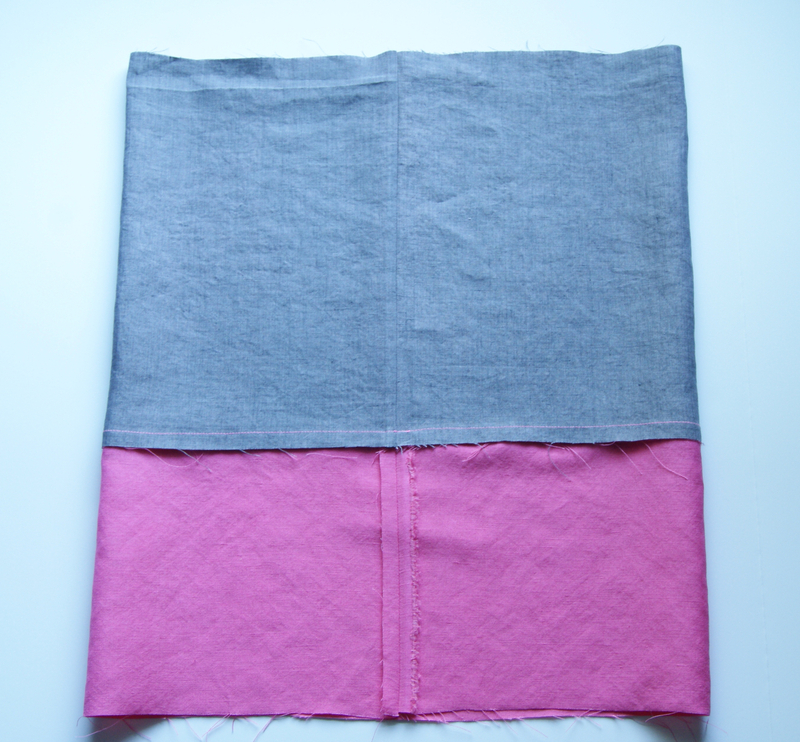 For this skirt which has a total length of 14.5 inches I used a gray linen piece 13 inches by 37 inches and a pink linen piece 8.5 inches by 37 inches. Note: Maybe you want to make your color blocked hem taller or shorter. Adjust your pieces to get the look that you are going for. 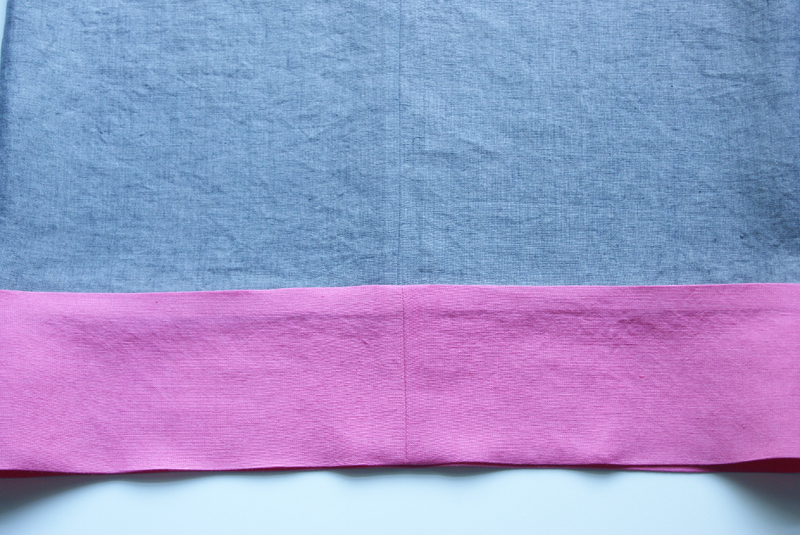 After I sewed the side seams for each of the two pieces, I placed the right side of the pink linen inside the gray linen (so the right side of the pink is touching the wrong side of the gray) and sewed them together with a 1/2 inch seam allowance. Next I pressed the pink piece away from the gray piece, keeping the seam allowance towards the pink piece. I then pressed the bottom of the pink piece up by 1/2 inch up on the wrong side. 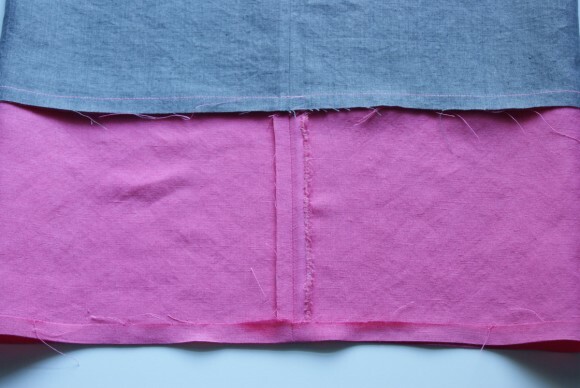 Next I folded up the pink piece in half making sure that the folded edge covered the stitching, then pressed it with an iron. Lastly, I edgestitched all the way around. You see? It’s that easy! This is just one method for creating a double-thickness hem. 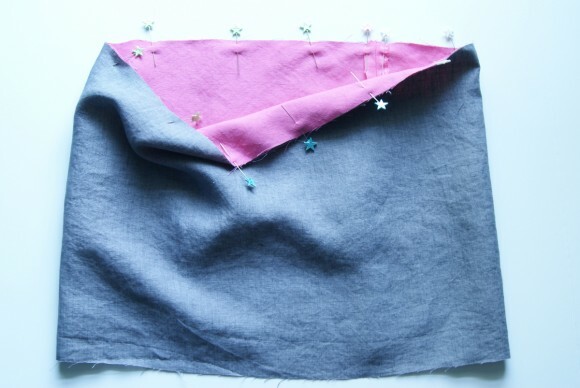 I prefer this method as I feel I have more control when I do edgestitching on the right side of the fabric. Come back throughout July to see more customizations on the Lazy Days Skirt to keep your sewing fresh. It is easy, because the hem isn’t curved. Love it! Well, you can certainly create a lovely hem this way, but be mindful of what it does to weight/hand of the skirt. Too stiff, and it can be a problem. If it shrinks or handles differently than the skirt fabric, if can also be a problem. This can certainly work well for a bias binding on a hem, or when the hem is intentionally thicker, since you can also use it as a bit of a weight for the garment. So the extra piece is not on the bias because as cybele 727 mentioned, it’s a straight hem? Nice. Could I do this with the Everyday skirt? I love the dimensions on this Rachel. Looks fabulous! Liz, yes you are correct the extra piece is not cut on the bias.